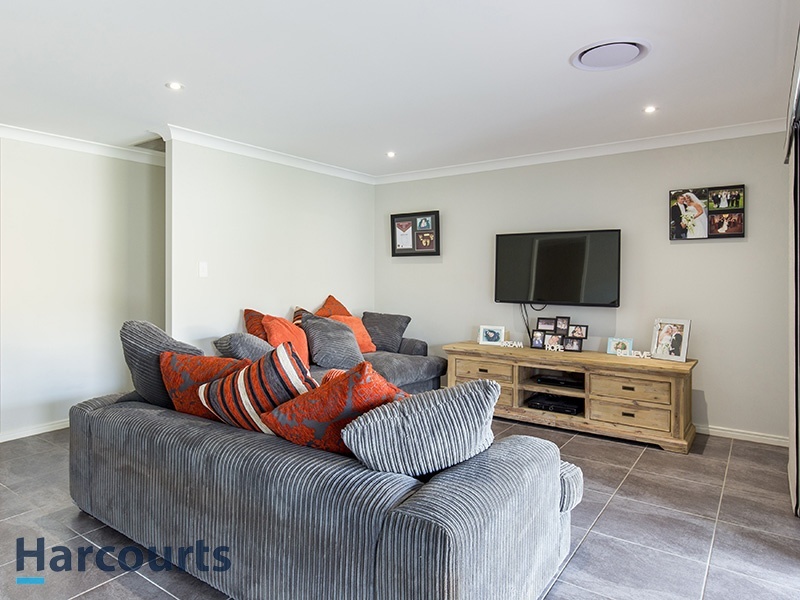 This beautiful light and airy family home is a short walk to Warner Shops and Tavern, Genesis College and Bray Park High School. Set high to catch the breezes, the feeling of spaciousness is enhanced by stacked sliding doors opening onto a tiled under-roof patio where you can relax and enjoy great outdoor living. Less than 2 years old, you can move in, unpack your bags and relax! Large windows increase the feeling of spaciousness in all rooms. 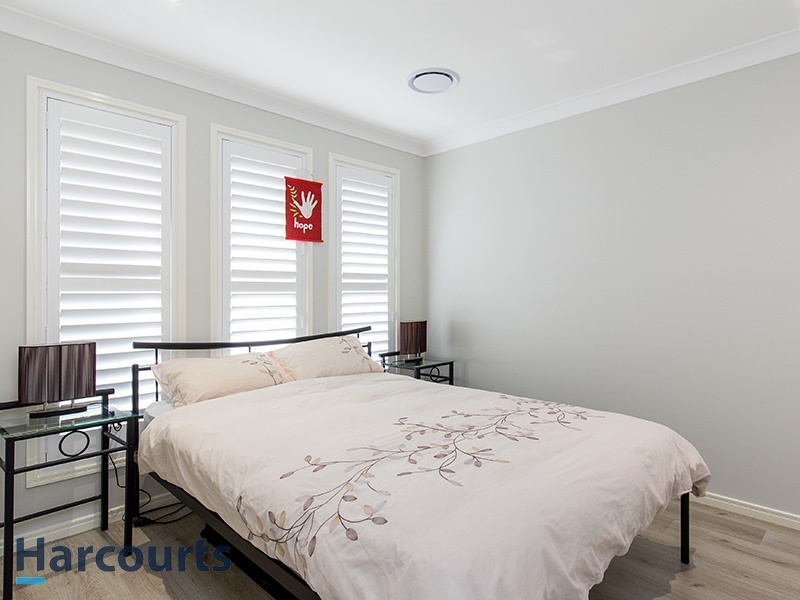 Plantation shutters at the front and in the master bedroom enhance the modern décor. The dream kitchen, with Caesarstone benchtops, includes a 900mm wide oven, 900mm gas cooktop with wok burner and glass canopy rangehood. Ready for your Masterchef dream making. The 4 generous sized bedrooms (plus study) allow plenty of room for your family to spread out and enjoy their own private space. The extra-large master suite provided includes big walk in wardrobe and roomy ensuite. No expense has been spared to make this home comfortable and a cut above the rest. 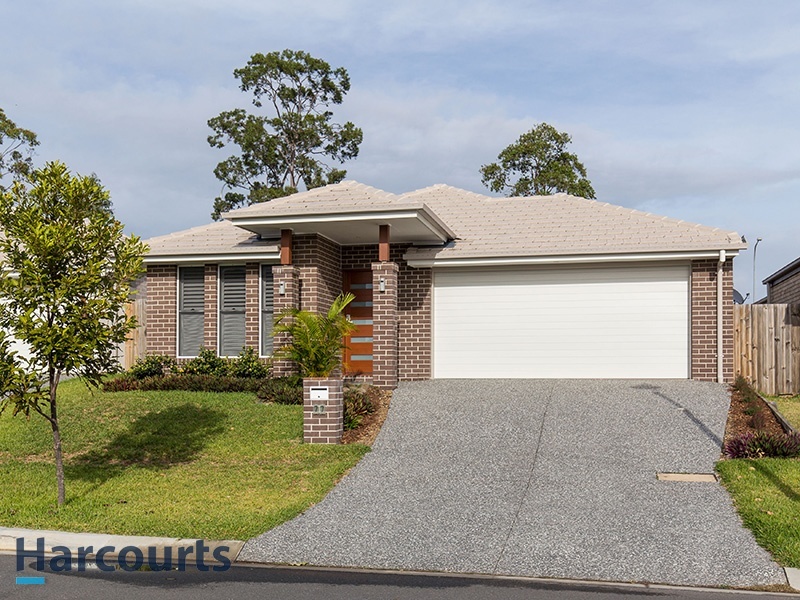 You can move right into this near-new home (built by Ausbuild only 2 years ago) and enjoy the comfort of top-class living in a top spot. Call to inspect today.